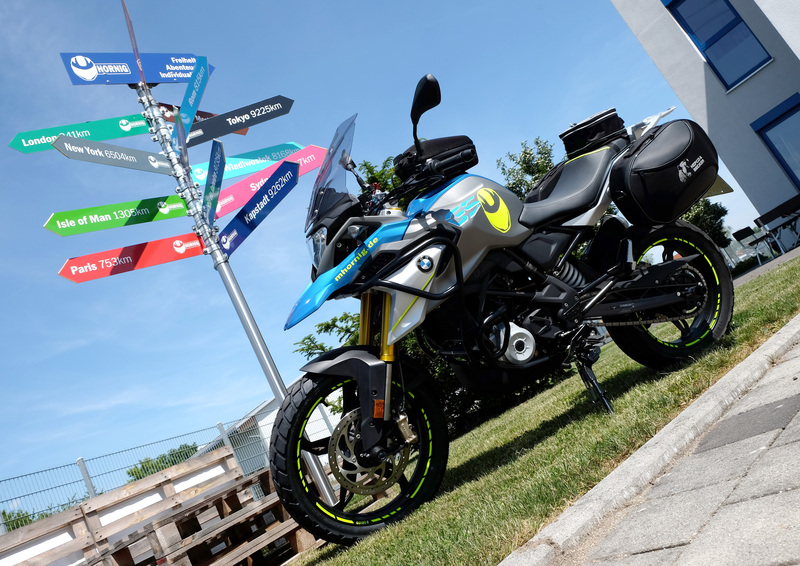 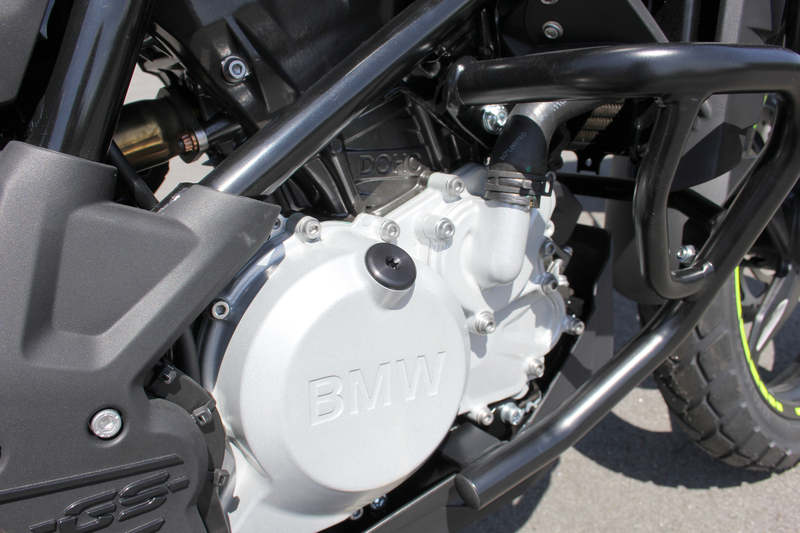 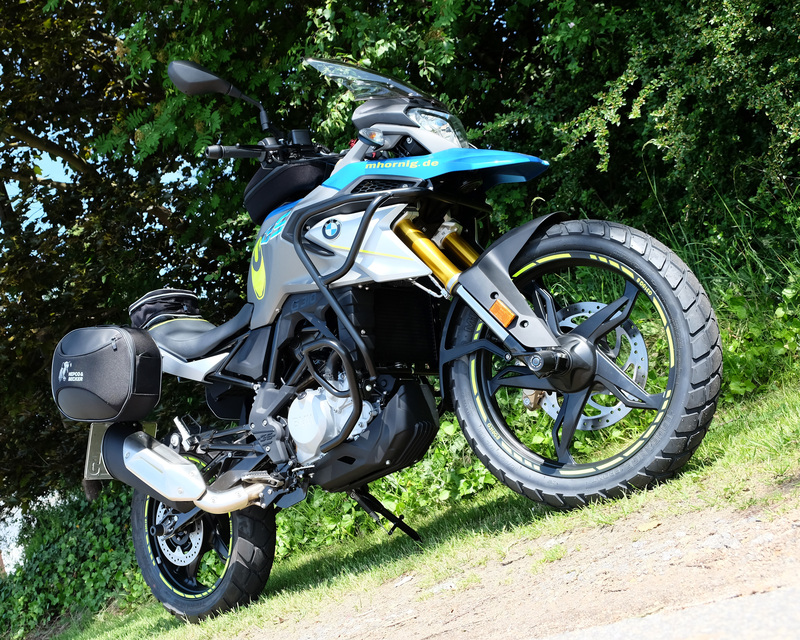 After our conversion of a BMW R1200GS LC 2018, we have now taken its "little sister" G310GS as a basis and modified it in terms of visual appearance, security and comfort. 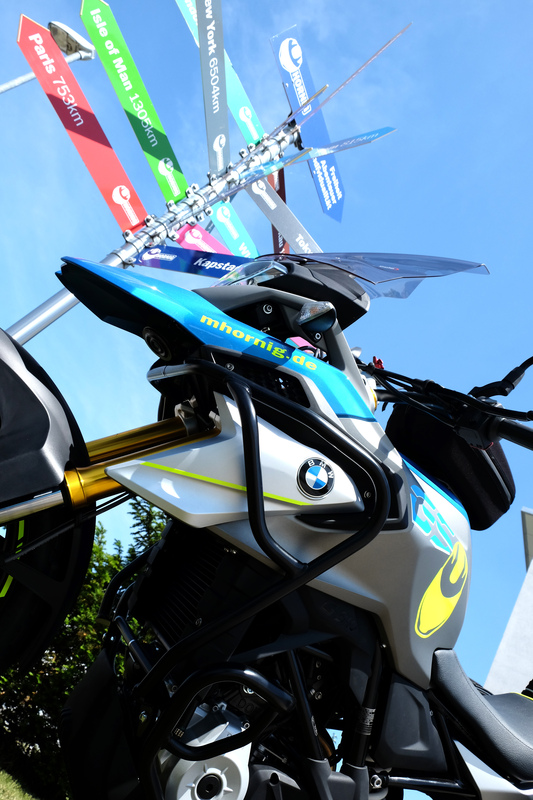 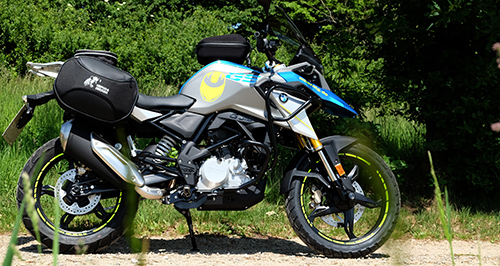 Just like our R1200GS, the G310GS also got its beak and upper tank part freshly lacquered in a brilliant blue colour. 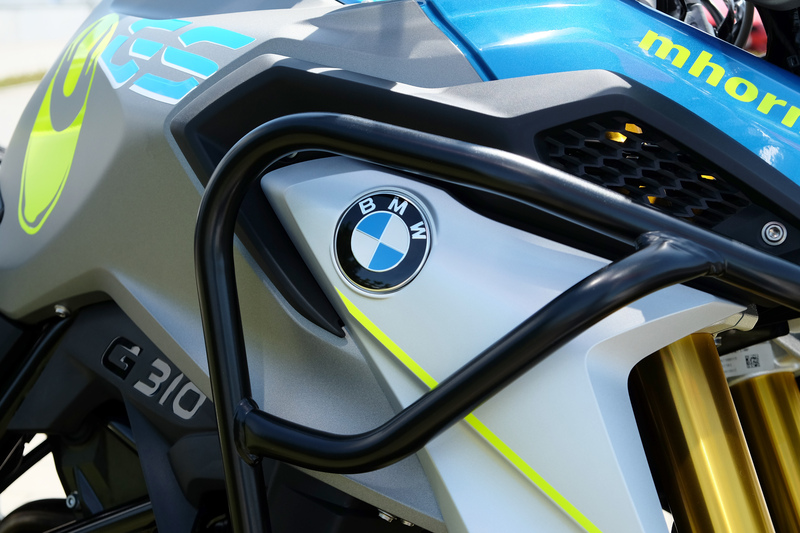 The rim stripes in neon yellow present an attractive colour contrast to the paintwork and also our Hornig writing and our helmet logo are done in neon yellow. 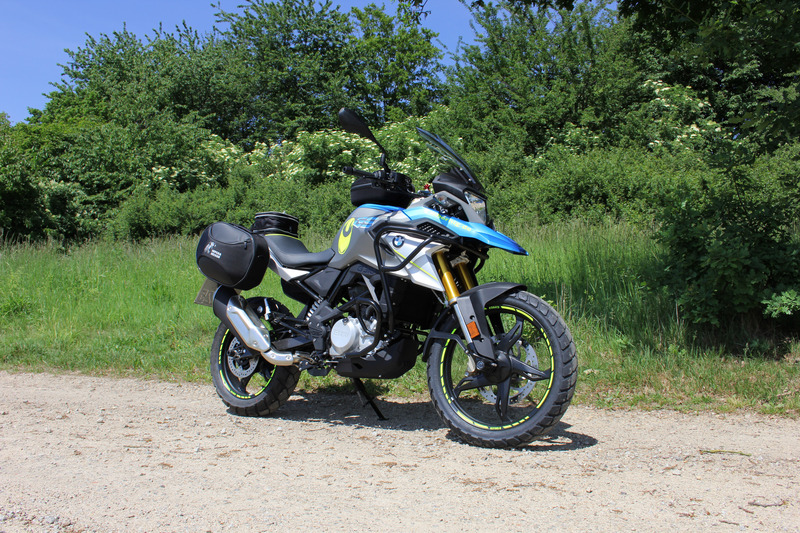 Moreover, we modified the original seat of the G310GS and thus made it more comfortable. 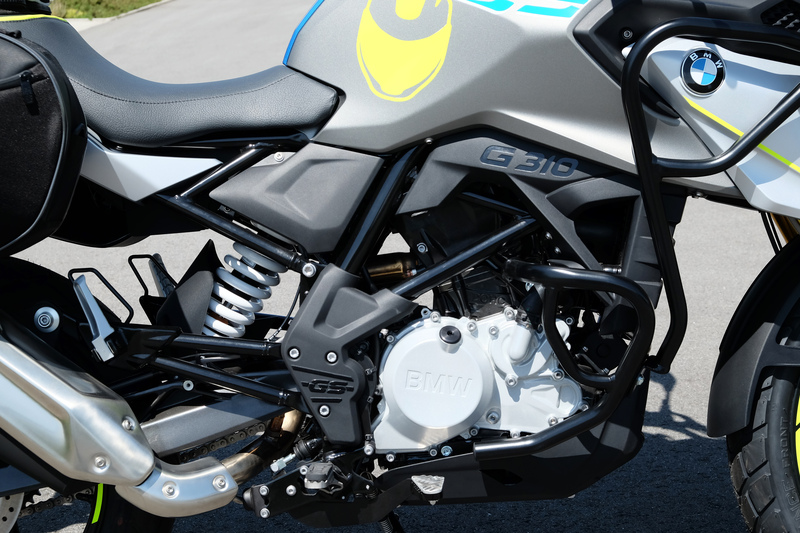 In addition, there are also some neon yellow colour accents on the seat. 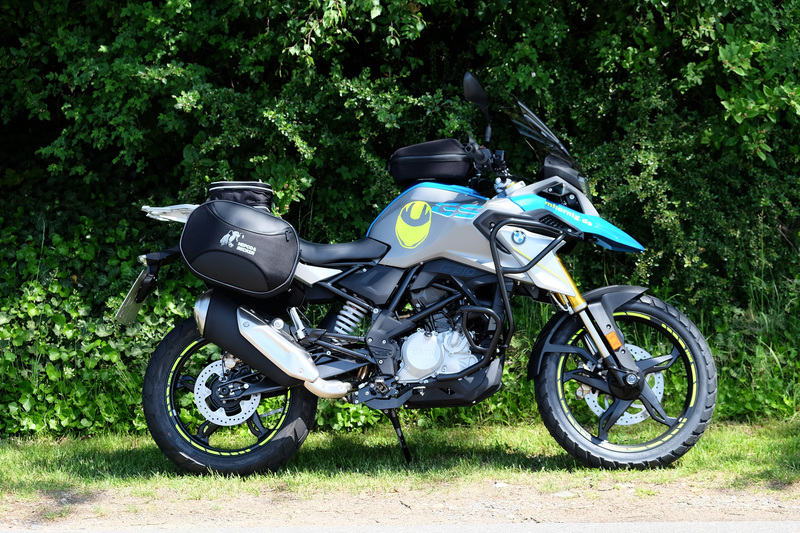 Storage space for longer tours with the agile Enduro is created by our tank bag and side bags which are fixed by a special mounting kit. 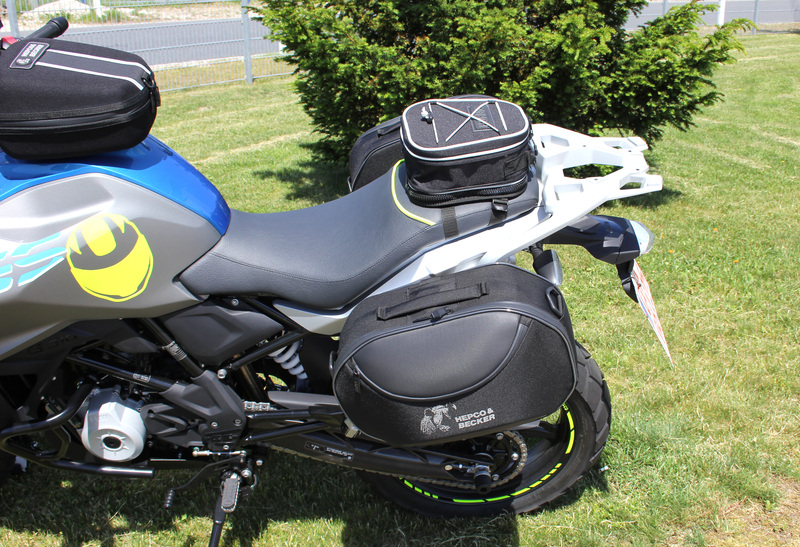 Even more storage space is added by our tail/rear seat bag with a capacity of up to 3,5 litres. 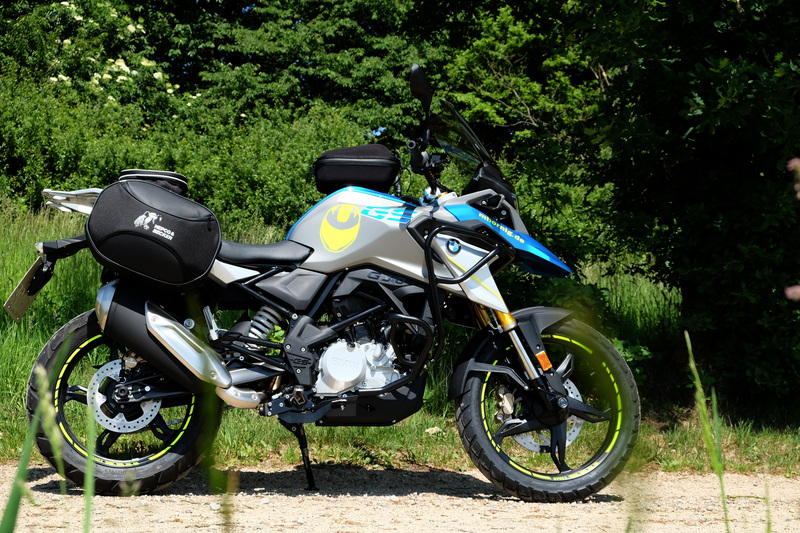 Our crash pads for the rear swingarm and the front fork in combination with our engine and fairing crash bars protect the G310GS against bigger damages in the case of a fall-down. 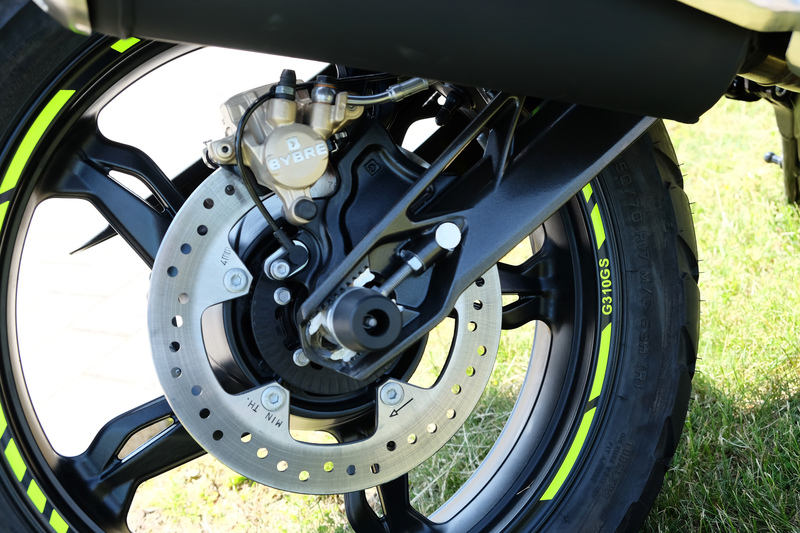 Mirror extensions permit the rider to have a better view to the rear and thus improve the driver’s safety. 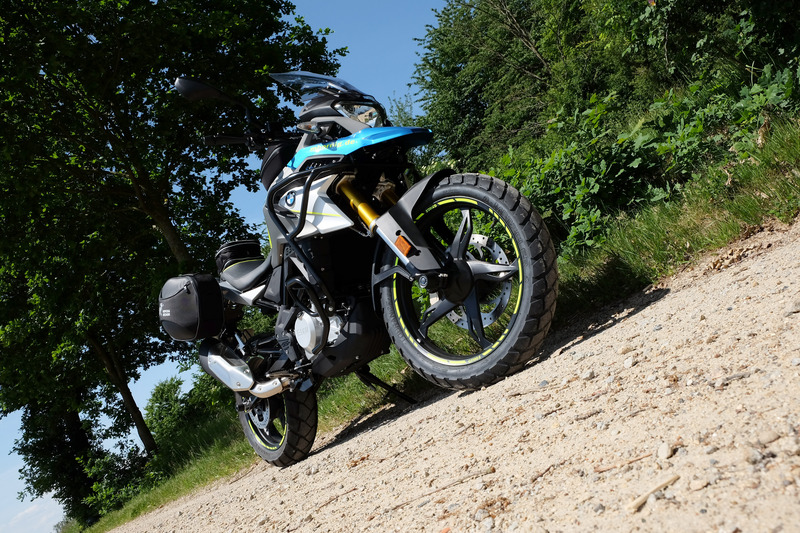 Our Touring screen constitutes a big plus in convenience because it minimizes the windblast against the rider. 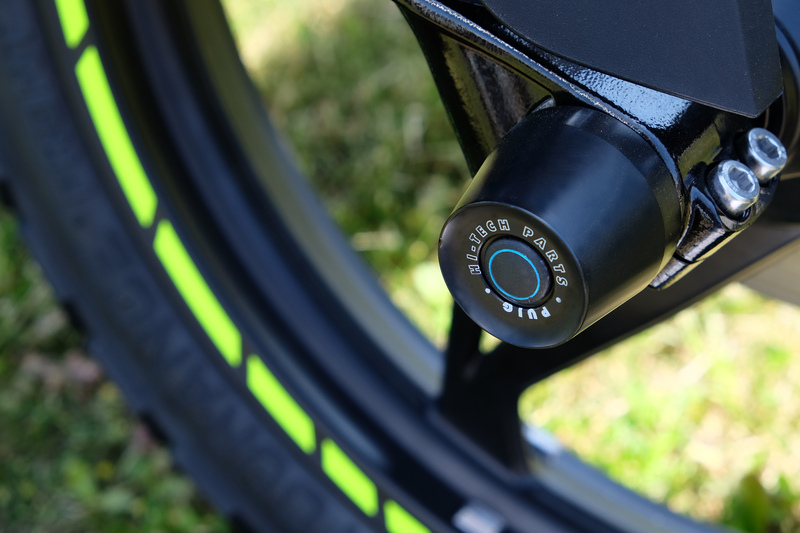 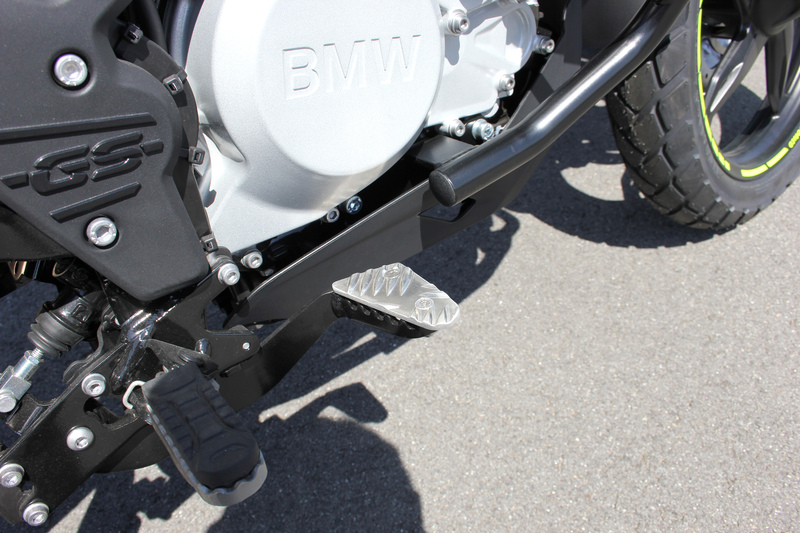 Our side stand foot enlargement allows for a safe stand of the motorcycle on all terrains and thanks to our brake pedal enlargement the surface of the brake pedal gets bigger and can be reached easier. 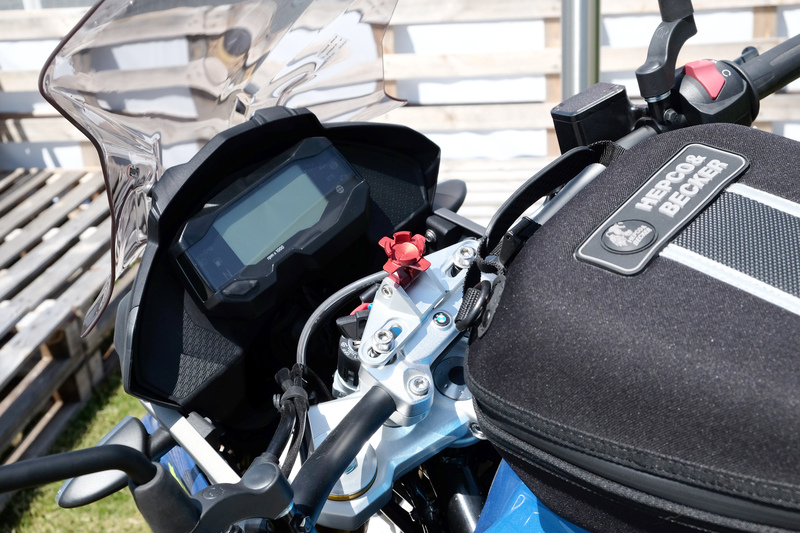 Our universal GPS mount in combination with a proper bag or a special GPS fixation plate enables the mounting of a smartphone or a GPS system. 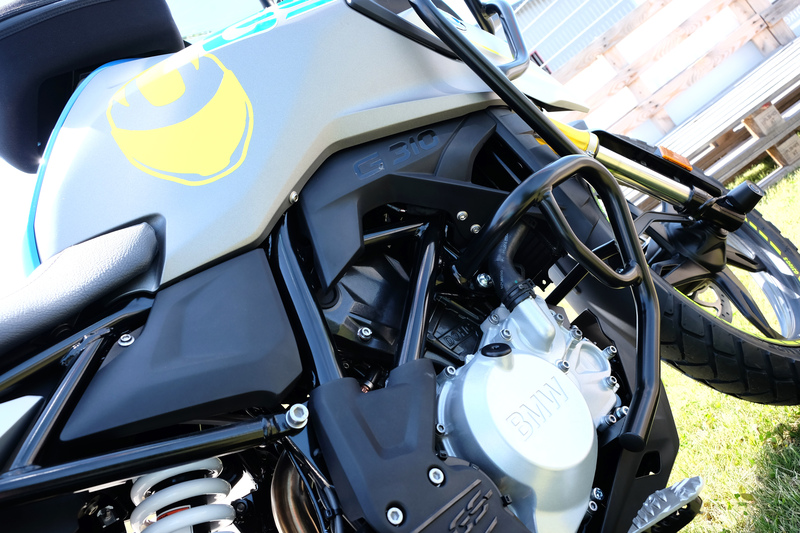 At last, we installed our oil filler plug which is made of aluminium and can, due to security reasons, only be opened with a Torx T45.